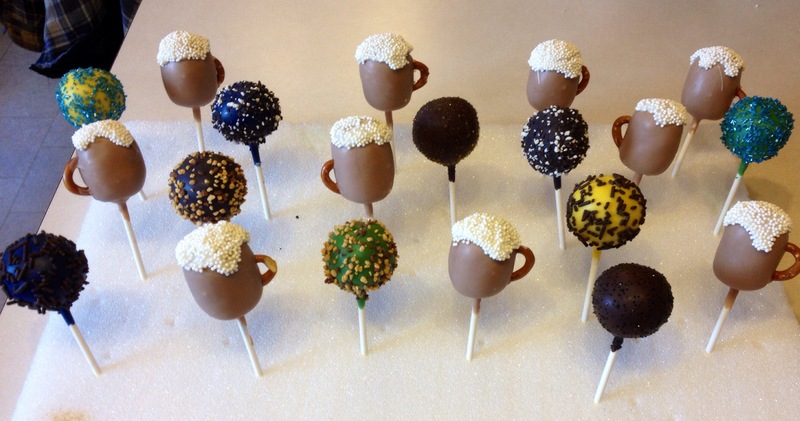 Instead of making individual posts, I decided to combine most of the orders from October into one big cake pop post! Feel free to comment or ask any questions! My good friend Amanda (hi! ), was accepted into nursing school in California and it is so exciting! 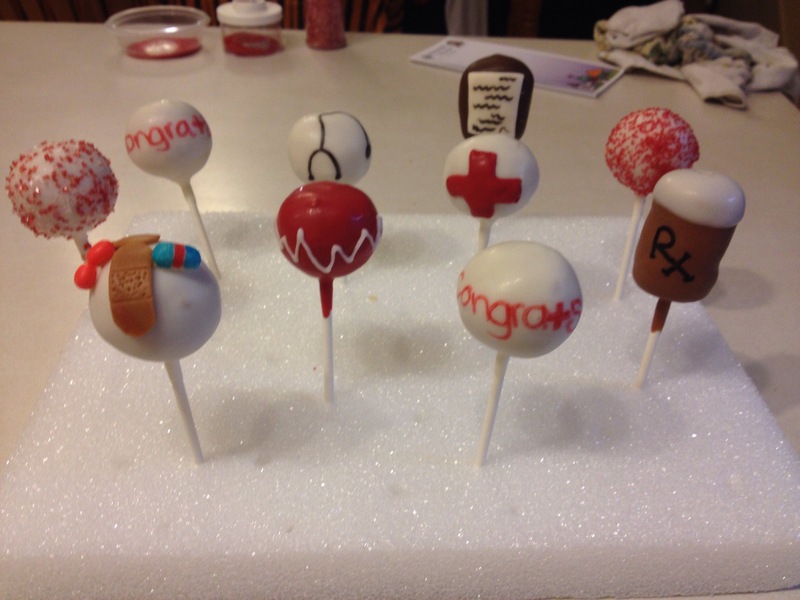 She has a great family and they wanted to surprise her with some nursing themed cake pops! They made it in the mail fine, which was great, and I know she has happy to receive her families package! I am glad I was able to make them for her! This was an order for a 30th birthday, and I did simple beer mugs. And probably my favorite for the past month! 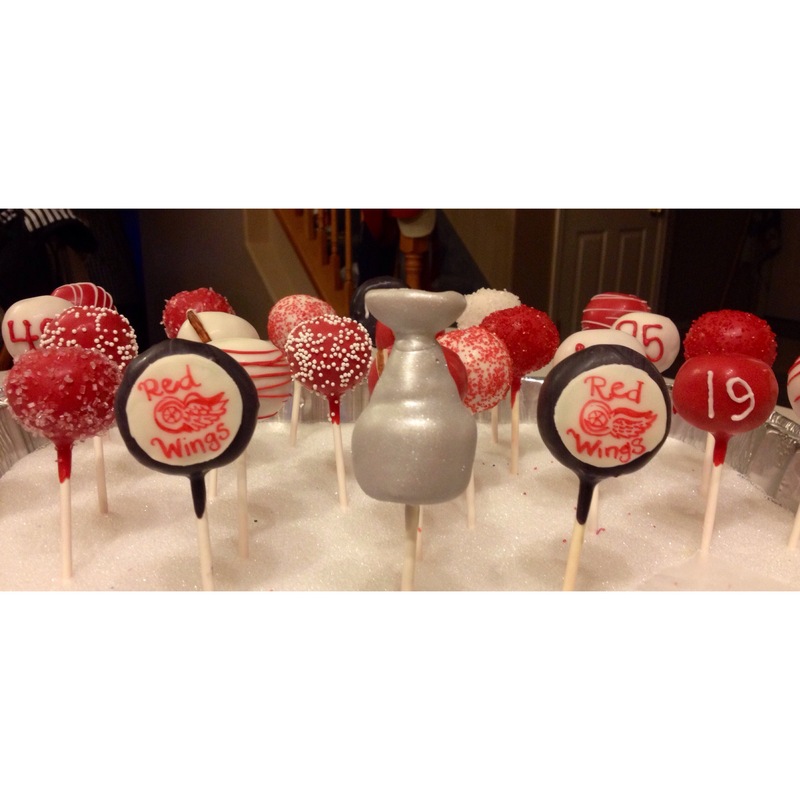 Red wings cake pops! Bobby’s favorite team, and these were my contribution for a free ticket to the game! And they won! And it was a great night! 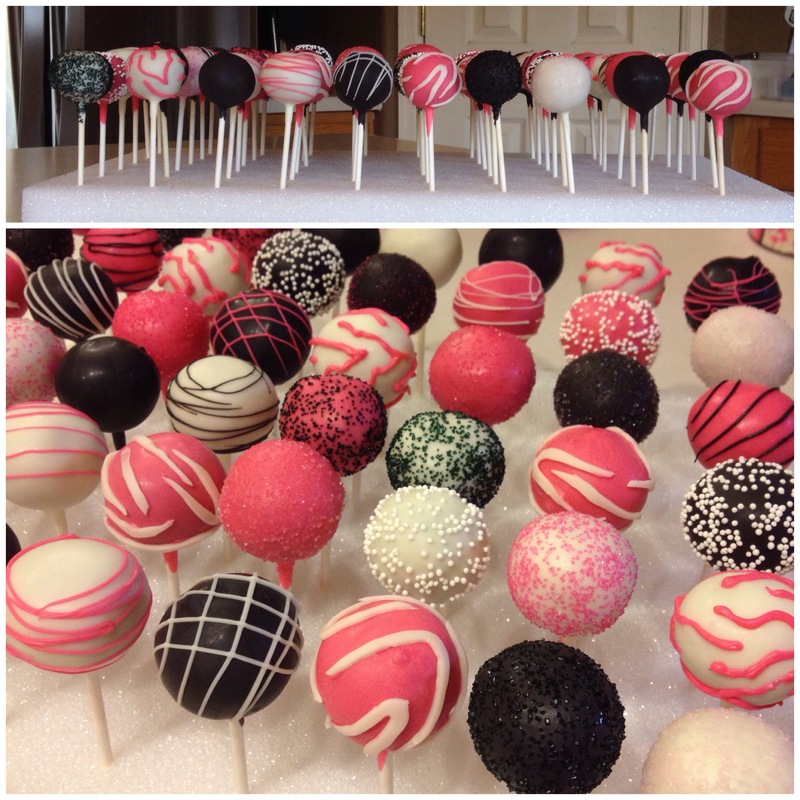 A pink, black, white, and zebra themed order!! So fun and bright! 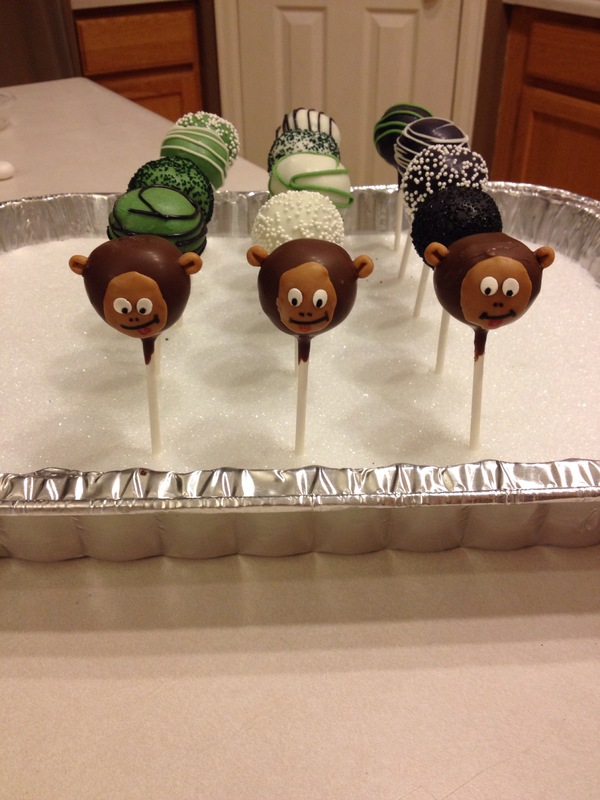 And a few monkeys in the mix! 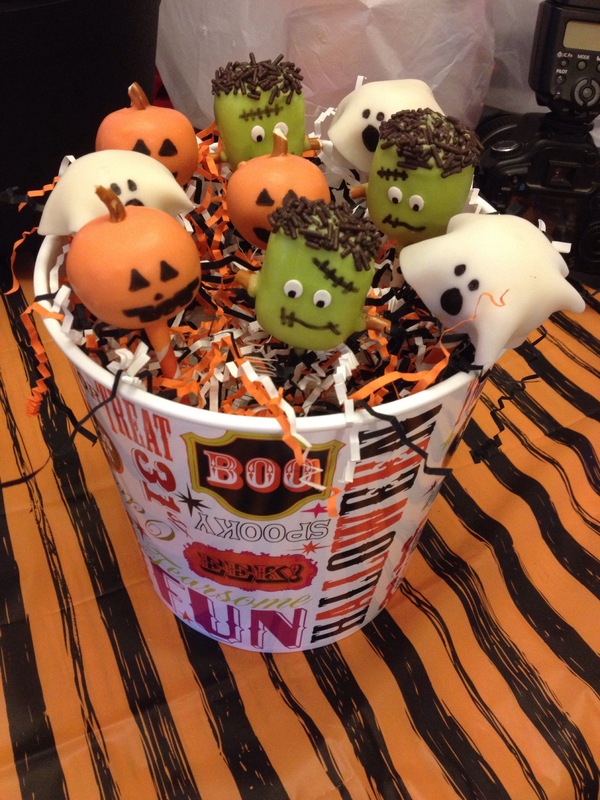 Here is one of the few Halloween themed orders! I love when I can display them cute!